If you like vintage style earrings, you can try the following asymmetry vintage style drop earrings. 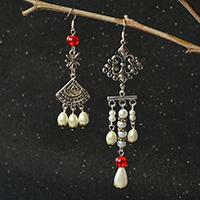 Hope you like this pair of asymmetry vintage style drop earrings. 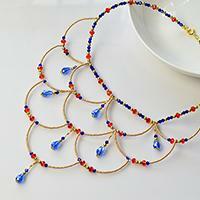 Love the following vintage style necklace? Just check the tutorial below to see how to make this vintage style necklace. 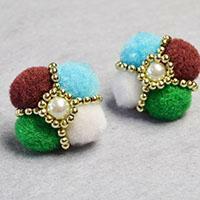 In this article, you can see a pair of colorful pom pom ball flower stud earrings. Follow me to see how to make the pom pom stud earrings.